Jewelry made of gold was always appreciated by people. 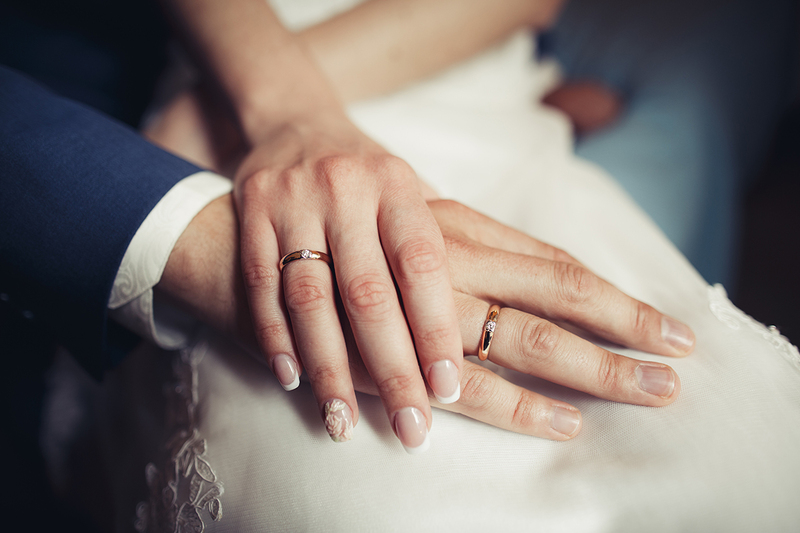 For reigning monarchs and nobility, rings are made of the noble metal. This jewelry is a symbol of luxury and wealth, with an attractive look and a high price. We tell about the masterpieces of jewelry workmanship — golden engagement rings of brides of the British court. In 1923, a member of a notable British family Elizabeth Bowes-Lyon married Prince Albert, the Duke of York, who later became King George VI. Albert proposed to her three times and got rejected twice. The girl did not want to marry a monarch. But the Duke of York was persistent and stole her heart. 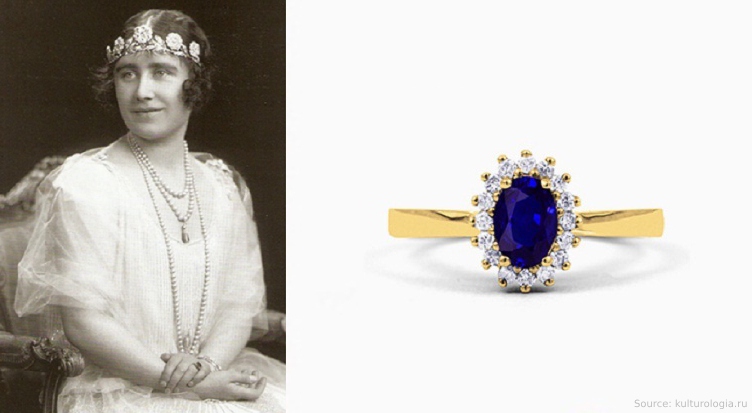 As a gift for the engagement, the future King George VI presented his bride an elegant ring made of Welsh gold decorated with a large blue sapphire and 16 diamonds. Welsh Gold is the most valuable and rare kind of the precious yellow metal, the mining site of which is in North and South Wales. This gold is highly valued in jewelry-making business and is used to make rings for royals, as well as millionaires and celebrities. In the photo: mainly because of the blue sapphire, the ring of Elizabeth was considered non-trivial, since, back in a day, engagement rings of the British court were decorated with diamonds only. Wallis Simpson, twice-divorced American actress, played a fatal role in the fate of her third husband. On October 27, 1936, the British King Edward VIII proposed to her, and that proposal changed the course of history. The ministers did not approve of Edward's choice; therefore, lovers had a secret engagement ceremony. As a testament of his love, Edward presented the bride's a Cartier ring made of yellow gold and emeralds with a mass of 19,77 carats. December 11, 1936, Edward VIII resigned from his duties as the monarch, forfeiting the throne to his younger brother George VI. Six months later the couple married in France. The new king of Great Britain has given them titles: The Duke and Duchess of Windsor. In the photo: the inscription engraved on the inner side of the ring: "We are ours now 27х36", commemorating the date when Edward proposed to Wallis. In 1947, at the age of 21, Elizabeth II married Philip Mountbatten, the Duke of Edinburgh, the great-great-grandson of Queen Victoria. They met when the future Queen of Great Britain was still a child. They fall in love in 1939, after Elizabeth visited the Royal Naval College, where Philip was studying at that time. 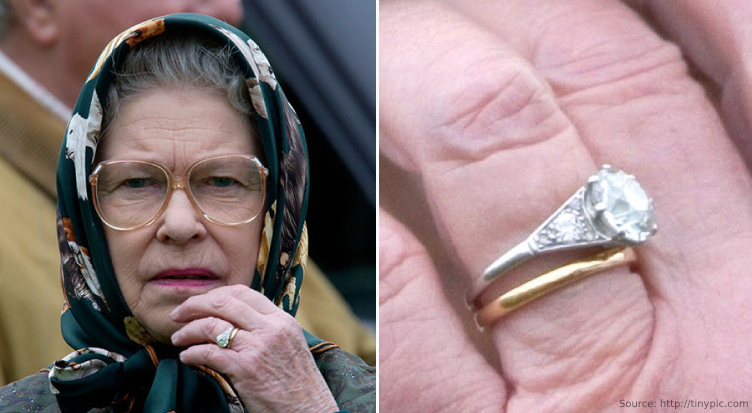 Elizabeth II always wears two rings: engagement and wedding rings. The first one is made of platinum, decorated with a large round diamond of 3-carats, taken from the tiara of Philip's mother — Princess Alice of Battenberg (Princess of Greece and Denmark.) The second ring has a classic "rim" shape and is made of yellow Welsh gold. In the photo: engagement and wedding rings on the hand of the reigning Queen of Great Britain Elizabeth II. In 1960, Princess Margaret Rose, the younger sister of Elizabeth II, married the photographer Antony Armstrong-Jones, who had a noble background. 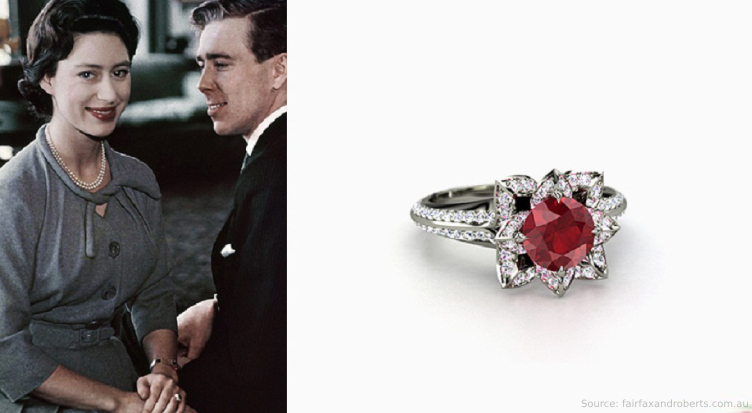 For their engagement, the future husband gave Margaret a ring of Welsh gold, adorned with a large ruby in the center and inlaid with a scatter of diamonds. In the photo: Antony Armstrong-Jones came up with a design of the jewelry item. He wanted the precious stones on the ring to resemble a rose bud — implying the second name of his spouse — Rose. Prince Charles, the eldest son of the Queen of Great Britain, proposed to Diana Spencer in February 1981 at the Windsor Castle. His royal highness asked Diana to choose her own engagement ring. 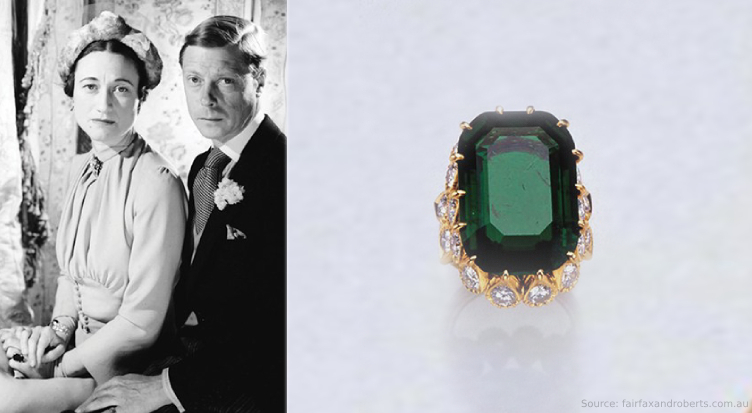 A few weeks later, their official engagement took place, and Lady Diana put an elegant piece of jewelry on her ring finger. Diana chose a ring made of white gold from the Garrard catalog, the oldest British jewelry house. It was decorated with a large Ceylon sapphire with a mass of 12 carats, framed with 14 white diamonds. 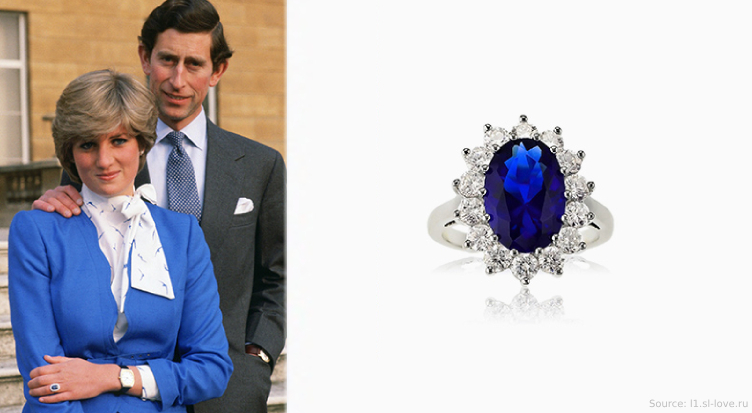 According to one version, the future Princess of Wales chose a blue sapphire, because her mother had an engagement ring with the same stone. In the photo: Charles and Diana broke up officially in 1992, but Lady Diana loved the ring so much that she wore it even after the divorce.